Fire Station 20 opened in 2014 in Seattle’s Interbay neighborhood. 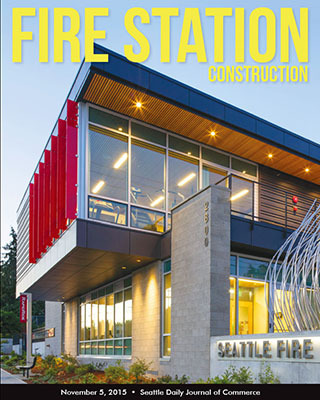 Schacht Aslani Architects was the designer and Forma Construction Co. was the general contractor. Building codes provide minimum requirements, but sometimes that is not enough. 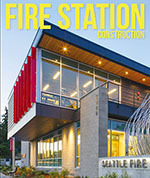 Issaquah’s Fire Station 72 is empty much of the time, so mechanical systems were designed to use less energy when firefighters are away. Adding obstacles like parked cars and cul-de-sacs matches the dangers emergency reponders actually face. Energy modeling helped push the project to meet LEED platinum and 2030 Challenge standards. Designers are finding ways to decrease "turnout time" in the station and using GIS to help navigate congested streets.